I've got a trick question: where in the U.S. can you begin a big year, and on day 1 do the following – – begin the first day of the big year hearing a Dickcissel, and follow with Upland Sandpiper, Eastern and Western Kingbirds, Cordilleran Flycatcher, Red-headed Woodpecker and many more species, and end the day with Common Poorwill? 66 species in all. Of course, this is not much of a trick question for those of you who read my blog post two weeks ago. While I don't think there are many places that all of these birds, or even many of them, can be found on January 1st in the U.S., my most recently begun big year did not begin on January 1st. It began yesterday, July 1st! These birds are birds that I saw on July 1st in Pennington County, SD. I expect that there are quite a few places where all those birds can be found on July 1st. As you now know, I've done it. I've started another big year – in the middle of an ongoing big year that is a “normal” big year, begun on January 1st. Two big years at once. At least they are in the same geographic area. I do not have to be two places at once. I know it’s strange though. I've attempted to explain the idea of doing two overlapping big years at once to a couple of other birders and they just stared at me with blank faces. It is true that most birders don't really understand why someone would do any kind of big year, so how could they understand someone doing two simultaneous big years? At least I didn’t start either big year in the middle of a month as Ted Floyd did. I think that there’s only so much confusion I can tolerate. But for a big year aficionado, why not give it a try to do overlapping big years? The confusing thing for me, however, is how I’m going to keep track of it all. Only one day has gone by, so I still can remember all the birds that I’ve seen in my one-day old big year (which I'm calling "big year B" in an attempt to keep the two big years straight). I know that I will soon run into difficulty trying to remember which birds have been seen in which of these two years, but right now in “big year A” (begun Jan. 1), I’ve seen most of the Pennington County possibilities, so for a couple of weeks until migrants start trickling noticeably through the county, I can probably concentrate on big year B birds that I’ve already seen in big year A but not yet in big year B. Are you lost already? The whole mental thing about doing two big years at once is perhaps a reason do them both. I have a birding friend, who also learns to sing complicated pieces of music to keep her brain agile, and I have done Jumble and Sudoku puzzles for the same reason. Using the brain on complicated things is supposed to ward off, or at least delay, mental problems as we get older. So doing two years should keep my brain struggling and therefore sharper. The real reason to start a big year now, however, is that in July it’s great fun to be seeing each bird species as new for the year. 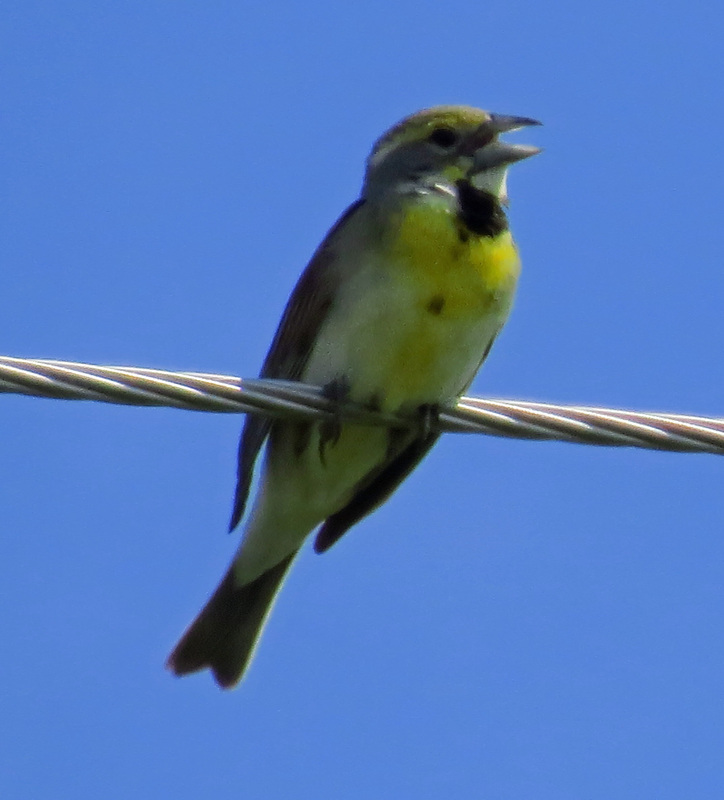 Driving down a prairie road yesterday on July 1, the Lark Buntings and Horned Larks and Grasshopper Sparrows were no longer just more of the same that I’d been seeing for weeks. They were new for big year B, and that made me see them and appreciate them all over again. 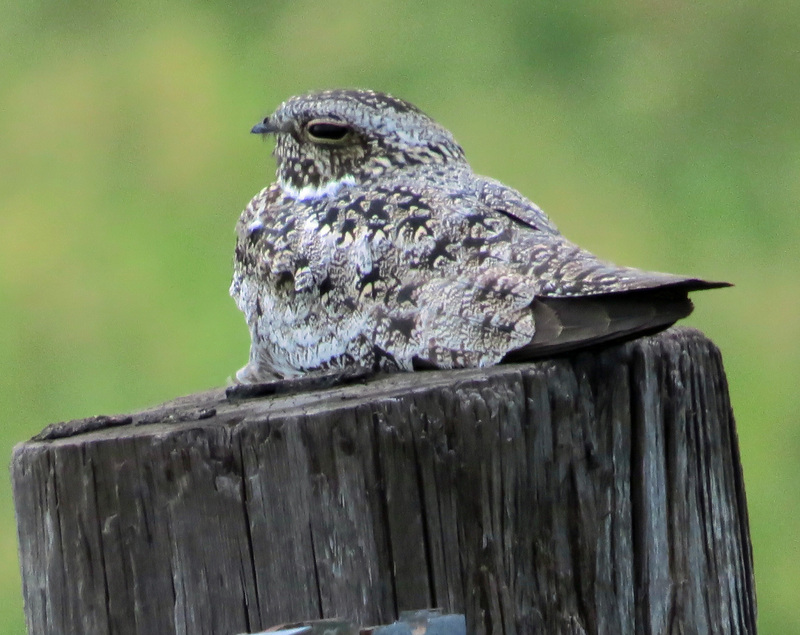 I laughed out loud in delight at the beautiful song of a Western Meadowlark filling my car with notes, and screeched to a halt to see four Common Nighthawks all sleeping on fence posts near each other. Everything seemed bright and new and more exciting than it had the day before. I know, it’s all in my head, but how can it be wrong to be so in love with birds and birding that I want to give myself yet another excuse to spend more time outdoors where the birds are, and to help each day feel newer and brighter?